Defeat for Blackpool at West Brom today. Which isn't a great result. But I did want to share a link about Charlie Adam with you. "I thought Adam was nothing short of rubbish. IMO he was the same last year. Every time he gets into good positions he wastes the ball." "He plays with a class and style that embody the club he is currently captaining; all hail Blackpool’s newest legend: Charlie Adam." Well worth a read of the whole article. It might raise other questions about youth players getting a chance at Ibrox. But for the moment we should just be admiring everything that Charlie is achieving. Friday afternoon and I've not done the Friday videos for a wee while. So here's a couple featuring Kenny Dalgish. 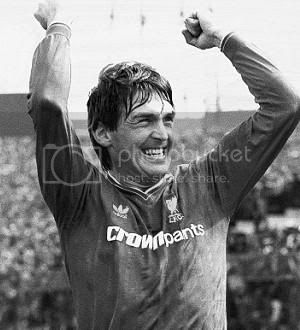 I read a comment on Twitter the other day with someone saying that they'd heard a lot about Dalglish the player but didn't see as many clips of him as they did other great players of the past. Hopefully the goals below will redress the balance. Dearie me. 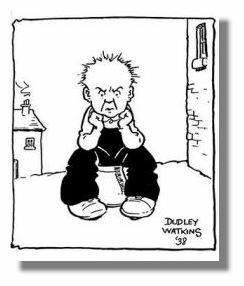 Just when you thought we'd all recovered our equilibrium along comes another furore, threatening to turn into a Scottish football civil war. Celtic manager Neil Lennon has been hit with a six match ban for losing the rag at Tynecastle after his team were denied what appeared to be a fairly blatant penalty and Joe Ledley was sent off in a 2-0 defeat to Hearts. Lennon was given an automatic two match ban. He subsequently appealed and it was at yesterday's appeal hearing that the SFA's Disciplinary Committee took the decision to treble that original punishment citing excessive misconduct. That this news has not received a particularly warm welcome in certain quarters would be an understatement. An "unprecedented" punishment? It's not. Derek Adams, then manager of Ross County, had an 18 match ban earlier this season. The circumstances were different but the idea that the SFA have quietly introduced something akin to capital punishment to deal with Lennon and Lennon alone is misleading. It was a first offence. That makes no difference. I spent longer than anyone would want to yesterday reading the SFA's Disciplinary Procedures for Club Officials’ Misconduct. The number of offences is only relevant to the initial automatic suspension, at the appeals stage each case is treated as a one-off. "There is a process in place already for dealing with anybody from any club that steps out of line and those individuals are dealt with through the various committees who operate within the SFA and that will continue. "But obviously we'll take a much tougher stance going forward." It's Neil Lennon's bad luck - or depending on your viewpoint the SFA's good fortune - that this was the first such case to be considered since then. My own view is that the punishment was harsh. We don't know the exact nature of what Lennon said to the fourth official although we can tell he was rather miffed. Nor do we know how the appeals hearing unfolded. So we are not in possession of the full facts. What we can say for certain is that the SFA have acted within the limits of the rules. They've been severe, I think overly severe, but they've done it by the book. 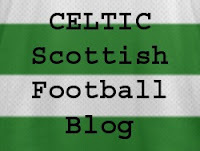 “Celtic and Neil Lennon confirmed today that they will be appealing today's decision by the SFA Disciplinary Committee to impose a six-match touchline ban. “The matter is in the hands of the club's lawyers. “We are very surprised and extremely disappointed at today's decision - we believe the punishment imposed was excessive in the circumstances and to our knowledge unprecedented for a first offence. “We have maintained for some time that a range of SFA's processes and structures needed to be reviewed and updated. This view was supported recently by Henry McLeish in his review of the SFA. “Today's events only underline and reinforce our opinion. Without question Celtic will be supporting its manager Neil Lennon in his appeal . A bit of naughtiness in there. Celtic should be aware of the rules. As I've noted the first offence makes no difference once the appeal process begins. And a broadening out of the case. The involvement of lawyers, we can imagine this to be Paul McBride QC, and an attack on the whole disciplinary procedure at the SFA. An attack vindicated by the findings of the McLeish Report. I'm betting that George Peat is happy he didn't get a hard cover put on that report because he's about to be hit about the heid with it. So where are we now? The SFA will claim that they've acted honourably and delivered on the get tough promises they gave to referees. 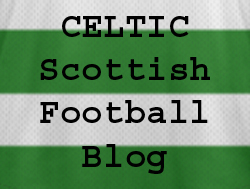 Celtic claim, with some justification, that the punishment is overly stringent and that the very method of deciding that punishment is flawed beyond repair. We've got, in essence, another sorry mess. There are faults on both sides. We all know the SFA is in need of urgent repair. Most of us could see that Lennon's behaviour towards the fourth official, however justified he felt at the time, could not go unpunished. We can only wait and see what happens next. I dislike the idea that Celtic taking a sledgehammer to the SFA is the best way to bring about the change we all want. I've also been of the opinion for some time that, for whatever reason, these are fights Celtic want to have. It seems the SFA and their Disciplinary Committee are now ready to go toe to toe with them. Once again I fear that Scottish football, its reputation and the campaign for real modernisation are going to be the major casualties. Aye, its a joy to be a fitba' fan in 2011. > The SFA's rules document. Thrilling read that it is. I'm searching for answers. Maybe you can help. Hopefully this will be the basis for a longer article. How does your club handle its online affairs? Is their website rubbish or great? Are they Facebook failures or Twitter triumphs. I want to know about websites, Facebook accounts, Twitter feeds. Anything as long it's an official club online presence. I do, of course, have ideas of my own about how Scottish football is coping with "new" media. But for now I'd just like to get as many opinions as possible. If I'm seeing themes or similar opinions emerging then I might even set up some kind of survey to get a better idea of "The State of Scottish Football Online." I'm particularly interested in how clubs use the internet to interact and get club news to the fans but if you've got strong views on online club shops or anything else then let me know. And it doesn't just have to be SPL sides, any league, any level. I'm looking for as many examples of best, worst and mediocre practice as possible. 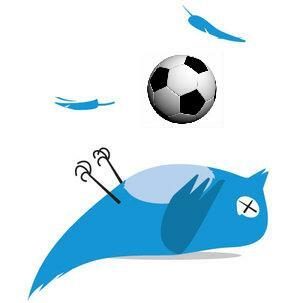 Focus is on Scotland but interested to hear your views of any clubs handling the online stuff well or badly from elsewhere. Thanks in advance and I look forward to hearing your views. 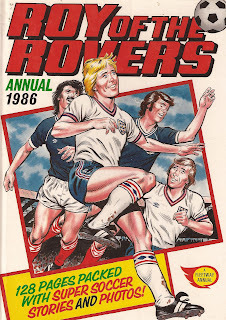 Update: Between writing and posting this the English FA seem to have announced that a 2013 home international tournament would be a one off to celebrate their 150th anniversary. Ah, well. Still think I'm right. And so the home internationals might be on the verge of a return thanks to the money of Vauxhall. I'm tempted to run naked down Sauchiehall Street carrying a banner proclaiming this as nothing less than the second coming of British football. Not because I have a particular emotional attachment to the home internationals. I don't. But the news has once again allowed Henry Winter to unleash the righteous indignation that he so enjoys. And Henry's indignation is a guaranteed way of awakening my inner contrariness. Henry's argument is that the home internationals will send English football back to the dark ages. He's like the lady of the manor refusing to let her son play with the servant's children lest their bad manners rub off on him. England won the World Cup when the home internationals were in full flow. English clubs - their team's stuffed full of English players - dominated the European Cup when the home internationals were played. 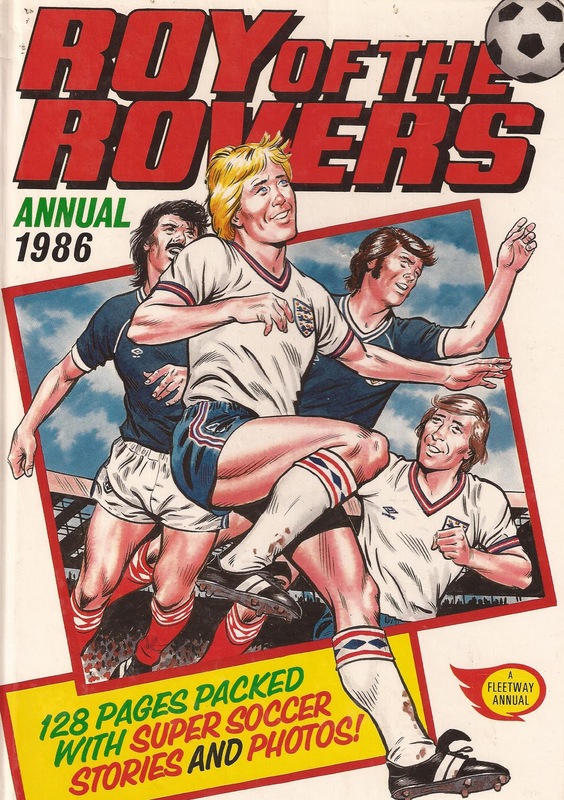 Indeed England's World Cup record is probably pretty much the same with or without the home internationals, that glorious Wembley day in 19-whatever aside. Whatever problems English footballers have in international competitions, the quality of their friendly opponents is not to blame. The aesthetics of Ghana might appeal to Henry Winter, as if by some miracle of footballing osmosis the skill of the opposition will rub off on England, but does it thrill the fan? With Vauxhall leading the marketing charge, with Sky on board, I would imagine a home international tournament in 2013 sparking quite a bit of interest. When money talks, the FA listen. Still, if the tournament is to be resurrected the arrogance of people like Henry will at least crank up the atmosphere. And how should we Scots feel about these developments? Can I admit to a certain ambivalence? I'm too young to remember the home internationals. What I think I have is a collective memory, a shared nostalgia, that we all have about a time when our football was, simply, better. The black and white footage, moving to colour in the age of Dalglish, of Scotland beating England fuels that memory. It might also be misleading. 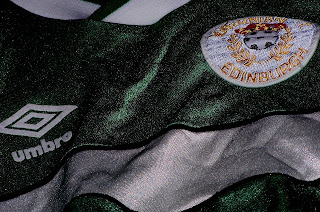 Scottish football's miraculous purple patch in international football, five tournaments in 12 years from 1986, came after the home internationals had fallen by the wayside. If we are to accept Henry Winter's spurious argument then Vauxhall's idea is likely to harm Scotland more than our illustrious neighbours down south. And maybe that is the case. Our habit, our curse perhaps, is to define ourselves too often not by our own achievements but by how we compare to our neighbours. A ruinous attitude, as many a little brother will tell you. Will the return of the home internationals not simply pander to that insularity, give rise to the feeling that it's alright to lose in the Czech Republic without playing a striker as long as we beat England at Hampden? I don't think so. Football has changed. The home internationals will not return as an annual slogfest, I would imagine they will be played every two years at most. 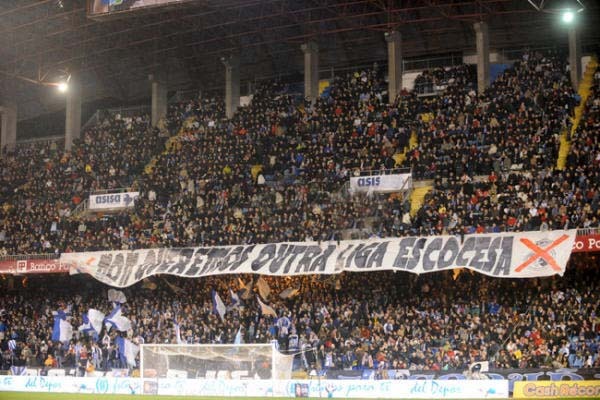 They'll offer the fans something that normal friendlies don't. Crucially, and this point seems to have not been lost on the English FA even as it sailed over Henry Winter's beautifully coiffured head, they will offer a decent simulation of a competitive tournament. What have England got to gain from playing against Wales? Let's accept the snobbish premise of that question and look at how England often huff and puff against "lesser" nations in competitive internationals. Will they not learn more about coping with those situations against Wales in Cardiff than they would in a friendly against Ghana where a half empty Wembley is treated to the farcial sight of both managers making half a dozen changes? I was at Hampden in 1999 when Paul Scholes proved too much for Scotland in the first-leg of the Euro 2000 qualifier play-off. The result was a disappointment but the day, from standing outside an off-licence drinking a can of lager and realising that the besuited man with the carry out next to me was Alex Totten to the atmosphere in the stadium, was memorable. There was a tangible reward at stake that day but I'm guessing these are games that don't need much to give them an edge. Let's not kid ourselves that the reawakening of the home internationals is about anything other than money, cooked up in a marketing department and likely to make the already well-healed even richer. But I can see benefits for all four home nations and their players that go beyond the spoils of a lucrative TV deal. A semi-regular home international tournament could also help kindle more interest in international football in Britain, something we badly need. Reimagined for the modern era this most traditional of football tournaments might just be a force for good in our game. Bring it on. Some wag (me) suggested on Twitter last night that this would have been a more effective Beattie to play up front for Rangers. Not that it mattered as the home side - who were more than happy to dish out a few brutal challenges - overpowered a fairly ineffective Kilmarnock. Two cracking first half finishes from Lee McCulloch and Kyle Lafferty had all but finished the game off before Steven Whittaker's emphatic penalty removed any doubt. Not a great game, Kilmarnock looked capable but not hugely threatening. Challenges from Lafferty, Steven Davis and Steven Naismith were rather agricultural, with Alexei Eremenko the particular target of a couple of Ron Atkinson's "early doors reducers." Is it frightfully old fashioned and Corinthian of me to expect better of Rangers? Or of any team? Possibly. But a deserved win for Rangers who become the sixth team to guarantee their spot in the fifth round. The draw for the fifth round will be made today and rumours abound that Biffy Clyro are to be rummaging around George Peat's balls to decide the fixtures. This seems to have caused consternation and amusement in equal measure. Unfortunately I'm not really sure who or what Biffy Clyro are so it's all gone above my ahead. And as if that wasn't enough this Scottish Cup week stretches to an eighth day with a number of fixtures to be played this evening. Amazingly Threave Rovers v Stenhousemuir, the much delayed third round replay, has been postponed again. They'll now try and play it on Wednesday. If that game doesn't end up a nine goal thriller we're all going to be hugely disappointed. My previews of the ties are here. I had Dunfermline down to win this one on Saturday. They didn't but I'll back them to finish the job tonight. Home win. Update: The draw has been made. And we've an Old Firm clash to look forward to. Who'd have thought? That's the only finalised tie of the round so far. To be played on 5/6 February. When Ayr United took to the field dressed in black on Saturday, pessimistic Hibs fans might have felt that here was the Grim Reaper ready to finish off what was left of their miserable season. Certainly Hibs started the game at a funereal pace that never threatened to enliven the 5000 or so home fans who had turned out. Given their dismal league form a cup game against lower league opposition might have been expected to release the Hibs players from their day to day worries. Yet confidence seems in such short supply at Easter Road these days that the players appear almost paralysed by fear. Even when they enjoyed stretches of possession there seemed little intent in their attacks, every pass a trial with little willingness to move off the ball. These are the basics that, when they appear beyond the majority of your players, hint at more testing times to come. It would be churlish to focus only on Hibs failings. Ayr came with a game plan that they executed well and offered more of a sustained threat in a game starved of chances. Andy Rodgers might still be asking himself how Mark Brown kept out his chance in the dying minutes of the match, a late effort that suggested manager Brian Reid could have asked his player to show more ambition as the clock ticked down. Certainly a replay at Somerset Park was the least the visitors deserved. It will be another night of trepidation for Hibs. The newspapers have suggested that there was a cacophony of boos at the final whistle. In truth Easter Road wasn’t busy enough on Saturday to produce a cacophony of anything. The new East Stand, a monument to Hibs’ financial acumen and off the field success, served only to accentuate the wide open spaces. The fans had voted with their feet. Hardly surprising. 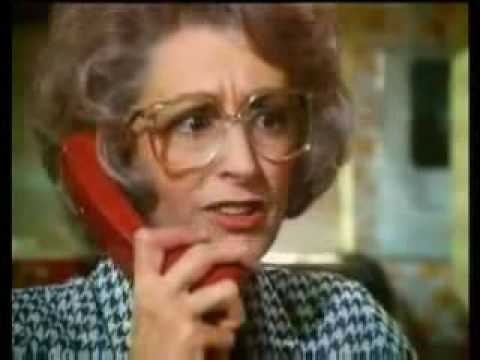 The trick Rod Petrie has pulled off is to build a grand opera house and then book Des O’Connor for the opening season. With modern football littered with financial suicides at great clubs it seems strange to castigate Hibs for an austere approach that has delivered a completed stadium and a training ground without racking up huge debts. But Rod Petrie remains chairman of a football club and for some time now he has lost sight of the balance between running a property company and a football side capable of performing at the highest level. And that means the board’s nightmare scenario is moving ever closer. The empty stands on Saturday are part one of that story. The very real threat of relegation is the worrying outcome of part two. Not that the directors can shoulder all the blame. Colin Calderwood inherited a mess from John Hughes. He deserves time to sort that mess out. But he has not shown himself as the sort of manager who can come in and make a sudden impact at a club. Often these “quick fix” managers burn out and it is debatable whether that is the kind of man Hibs either wanted or needed. But if Calderwood is plotting long term success he needs to articulate that plan to the fans. At the moment they see a manager who has changed little and is unable to even decide on his best starting 11 or his preferred formation. A signing or two in the January window might offer some idea of his intent, as would the quick introduction of some of the younger players brought back from loan deals. If he feels that any of the 15 first squad players reaching the end of their contract are no longer committed to the club then he needs to either ship them out now or drop them for the rest of the season. Hibs are too far in the mire for passengers. And the players themselves? There were few success stories on Saturday. Paul Hanlon continues to show promise and will be a key player between now and the end of the season. David Wotherspoon showed enough when he came on to suggest that dropping him to the bench was a bad decision. It’s a sign of the rancour around the club that Wotherspoon’s demotion immediately sparked unconfirmed rumours of a bust up between player and manager. In truth though Hibs have too many players playing badly at the moment. Even basic communication seems beyond them. Danny Galbraith, given a rare start, spent too much of the first half standing in acres of space with his arms aloft. He must know that Hibs have few players capable of the kind of Hollywood pass he was demanding. When he began to link up with his full back and fight to get himself involved in the second half he looked more threatening. It’s simple stuff but too many of this Hibs squad have either forgotten the simple things or are taking too long to learn them. Derek Riordan, captain in the second half when Ian Murray was substituted, offered his normal frustrating performance. He missed the sort of chance he would often score in the first half, played a pass to Zemmama in the second that showed what he’s capbable of, diverted a possibly goal bound Liam Miller shot onto the bar and then got hurt contorting himself to hit a shot that at least two players behind him were better placed to convert. For me his most telling contribution came when he tried to beat Ayr defender Martyn Campbell. Faced with Campbell’s superior physical presence Riordan simply gave up the fight. He could argue that there was no way he could have won the ball. Yet Colin Calderwood might feel that the sort of player prepared to fight for lost causes is exactly what he needs right now. It might not be universally popular with the fans but that brief snapshot perhaps explains Calderwood’s reticence at opening contract talks with his most naturally gifted player. Liam Miller has become something of a target for the discontented masses of late, the strong rumours of a freedom of contract switch to Tynecastle hardly helping his cause. But for a player who has proved he has both the vision and ability to play a telling pass to so often look up and seen no movement ahead of him must be a dispiriting experience. Miller is often accused of hiding. Perhaps that’s true. But only a fool would believe he’s the only one in a green shirt guilty of that at the moment. Elsewhere players like Francis Dickoh, Steven Thicot and Jonathon Grounds never really convince. In truth they are probably squad players who, thanks to the mismanagement of Hibs’ transfer policy, are being asked to build the nucleus of a team. The result of all this was seen on a Saturday. Colin Calderwood statuesque on the touchline, the players switching between honest but futile endeavour and schoolboy errors. All against the splendid backdrop of the three quarters empty stadium 'what Rod built'. 2011 might be a long year in Leith.